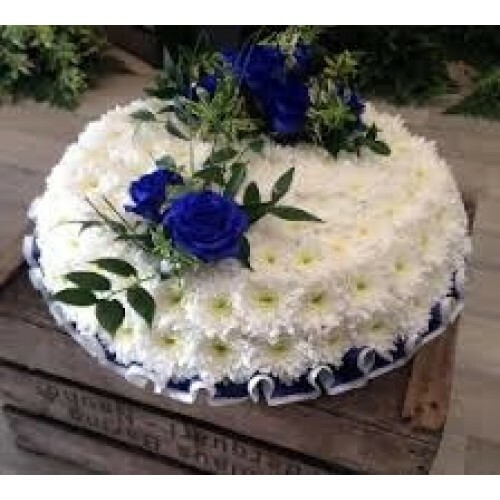 A Blue Rose Posy Pad made from white chrysanthemums with 2 blue rose sprays on top. one large spray linked to the other with foliage. A fitting funeral tribute. Available in different colours if required.